But if a similar-sized hurricane were to strike Florida today in the same spot, it would be far more catastrophic — causing up to $100 billion in damage, according to a recent analysis by Swiss Re, the reinsurance firm. That’s even after accounting for the fact that South Florida has strengthened its building codes since Andrew. The reason is simple: Central and South Florida have grown at a breathtaking pace since 1990, adding more than 6 million people. Glittering high-rises and condominiums keep sprouting up along Miami Beach and other coastal areas. A lot more valuable property now sits in harm’s way. 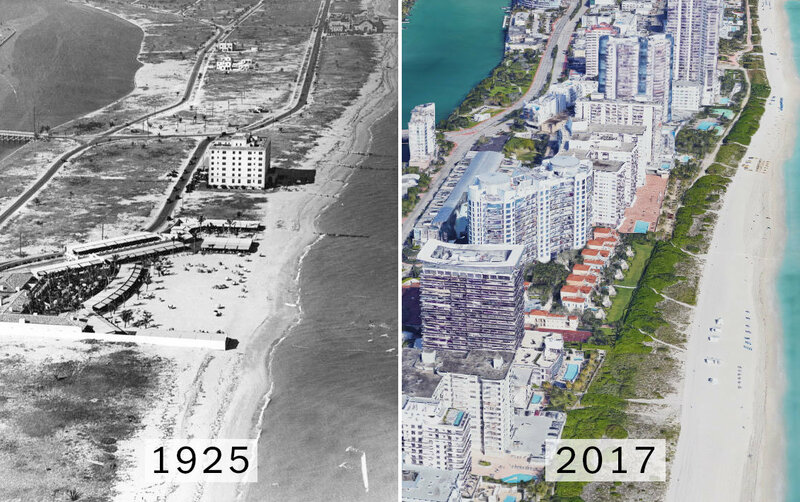 With Hurricane Irma — currently a Category 5 storm and one of the strongest hurricanes ever recorded in the Atlantic — possibly set to pummel Florida this weekend, the state is confronting the fact that rapid development has made its coastline far more vulnerable to hurricane damage than it used to be. A similar dynamic is playing out across the United States, from Florida to Louisiana to Texas. In 2016, the Congressional Budget Office estimated that hurricanes currently cause about $28 billion, on average, in annual damage nationwide. But those costs are projected to rise 40 percent between now and 2075, after adjusting for inflation. Nearly half of that projected increase, the C.B.O. said, is because global warming and sea-level rise are expected to make hurricanes and storm surges more severe, though the exact effects are still a source of debate among scientists. 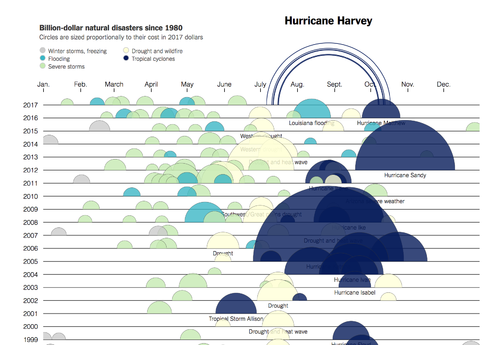 Comparing more than 200 billion-dollar natural disasters since 1980. But half of the expected rise in hurricane costs is the result of expected increases in coastal development. Today, according to the C.B.O., roughly 1.2 million Americans live in coastal areas at risk of “substantial damage” from hurricanes — defined as damage of at least 5 percent of average income. 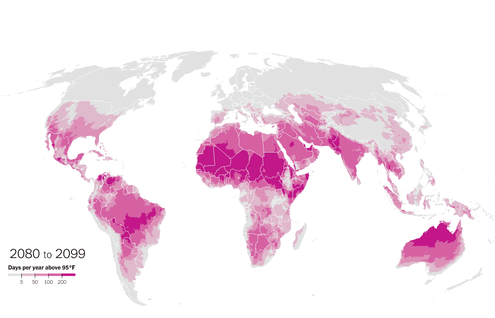 By 2075, that number is forecast to rise to 10 million. Population growth can also increase hurricane risks by adding newcomers who are unfamiliar with big storms or by clogging roads during evacuations, experts said. As of Wednesday, forecasters were still unsure where Irma might make landfall in Florida or how strong it will be when it does. But in almost any conceivable scenario, a hurricane today is likely to do more damage than a comparable storm in the past, if only because of increased development. 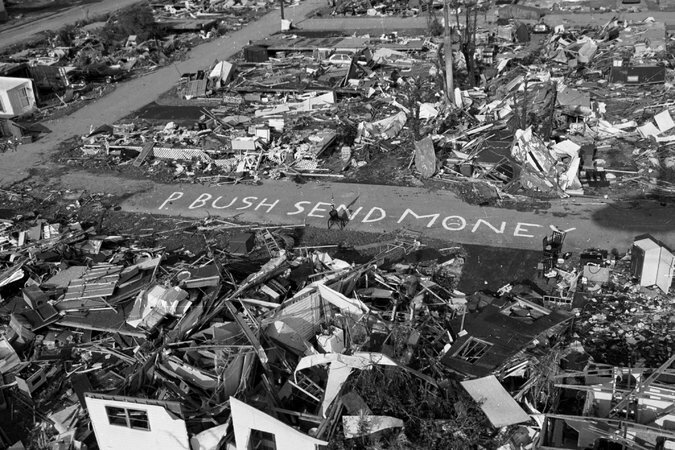 In 1960, Hurricane Donna raged through the Florida Keys as a Category 4 storm before turning northwest to hit Naples and Fort Myers, causing roughly $7.4 billion in damage in today’s dollars. According to a model developed by Roger A. Pielke, Jr., and Christopher Landsea, a similar storm today would cause $46 billion in damage, after accounting for population growth, and increased property values. In response, some cities like Miami have been taking precautions against future storms — though so far that has not included a slowdown in development. In 1994, in the wake of Andrew, South Florida enacted some of the strictest building codes in the country. New houses must now feature impact-resistant windows or shutters as well as stronger clips and straps to secure their roofs, to better withstand major hurricanes, which inflict much of their damage through powerful winds that can send debris flying dangerously. Local zoning rules also require high-rise developers in key areas to build to withstand high winds. “There’s no question that these building codes have improved our hurricane risk,” said Shahid Hamid, director of the Laboratory for Insurance, Financial and Economic Research at Florida International University, which has built a wind machine that can simulate hurricane-force winds to test new building designs. But, Dr. Hamid cautioned, stricter codes don’t offer perfect protection. Roughly 70 percent of the region’s buildings were built before 1994, and many homes have not been retrofitted (though homeowners can get a substantial cut in their insurance premiums if they do so). And, he said, a direct hit from a Category 5 hurricane, with sustained wind speeds greater than 157 miles per hour, can cause heavy damage to even the best-constructed homes. What’s more, even high-rises built to withstand fierce winds can still be vulnerable to water damage from heavy rains that can seep in through roofs, as investigators discovered after Hurricane Wilma clobbered the region in 2005. There is also flooding and storm surge to consider. Hurricane Andrew pushed relatively little water inland in 1992 and did most of its damage through ferocious winds that flipped over cars and pulverized homes. But sea levels along Miami’s coasts have risen 3.3 inches since then, and the city is already seeing an increase in “sunny-day flooding” during high tides. With sea levels higher, a hurricane that struck in a vulnerable place could conceivably produce far greater flooding than Andrew did. While stricter building requirements have made the cost of development somewhat more expensive, they have hardly put a brake on South Florida’s frenetic growth, as millions of people move for the sunny weather and gorgeous beaches. 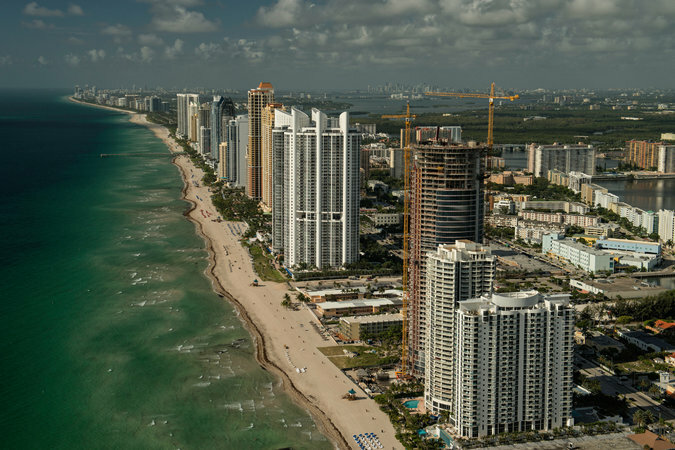 Miami-Dade County’s population has grown 35 percent since Hurricane Andrew, and developers still have ample incentive to build along the coastline. In Florida, which has no state income tax, property taxes make up 36 percent of state and local revenues, and few cities have opted to take drastic measures to limit development along the hugely desirable coasts.